This is what his car looks like now. it’s on the ground. 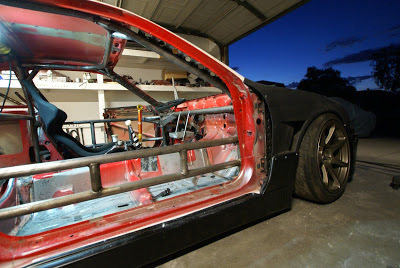 engine is in, roll cage done, just needs to get wired up. these pictures aren’t the best i just wanted to get some updates on the blog since i have been slacking on posting lately. its crazy how he painted the whole engine bay black.